The countdown to the 2013 Aussie Millions Poker Championship is on in earnest, with just 30 days until the most important edition of the region’s premier poker tournament series. 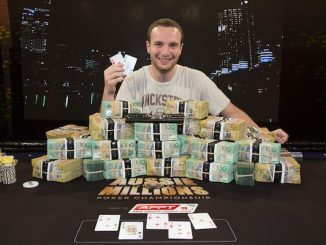 The question on everyone’s lips – will the player numbers for the 2013 Aussie Millions be impacted by WSOP APAC, which will be held at Crown Melbourne just two months later (April 4-15). Crown officials are confident that players will again be out in force for the 11th edition of one of the world’s most popular tournament series – after all, who would want to make one trip to Australia when you can make two in a matter of weeks! 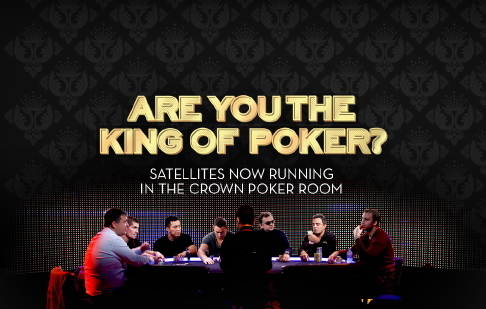 Crown Poker is hosting more satellites than ever before, providing various ways to qualify highlighted by the final Free to Enter Mega Satellite on Saturday, January 12. Additionally, Aussie Millions Super Satellites will be played from noon on December 22 and 29, as well as January 5, 20 and 27. 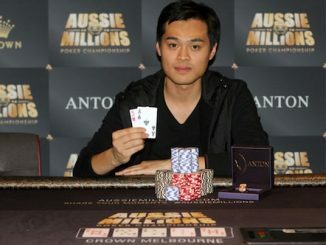 With $200 buy-ins featuring a start bank of 25,000, these events are direct qualifiers for the 2013 Aussie Millions Main Event. 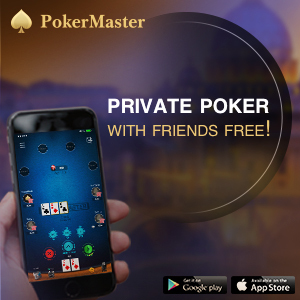 The events have four hours of late registration and a bonus add-on at the end of level 12, where players can purchase an additional 25,000 in tournament chips for just $100. On Christmas Eve (Monday, December 24), Crown will be holding an additional Aussie Millions Christmas Bonus Super Satellite from noon. This tournament will run the same way as all the Aussie Millions Super Satellites. However, as a Christmas present from Crown Poker, there will be 10 Aussie Millions Opening Event tickets, valued at $1100 each, added to the prize pool! • The Psychic Award – the Player that can correctly guess a series of random events, plus many more! Visit the Crown Poker Room to register.